The Guaranteed Solution to Flat Roof Problems. No Obligation Quote. 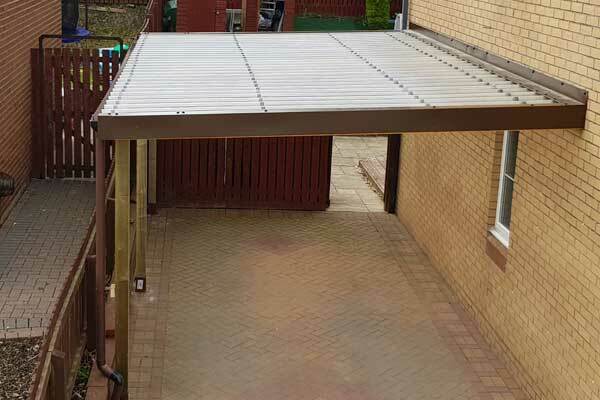 We Specialise in Installing High Quality Plastic Coated Steel Roofing. All Work Guaranteed. Fully Insured. Call NOW for a FREE No Obligation Quote. 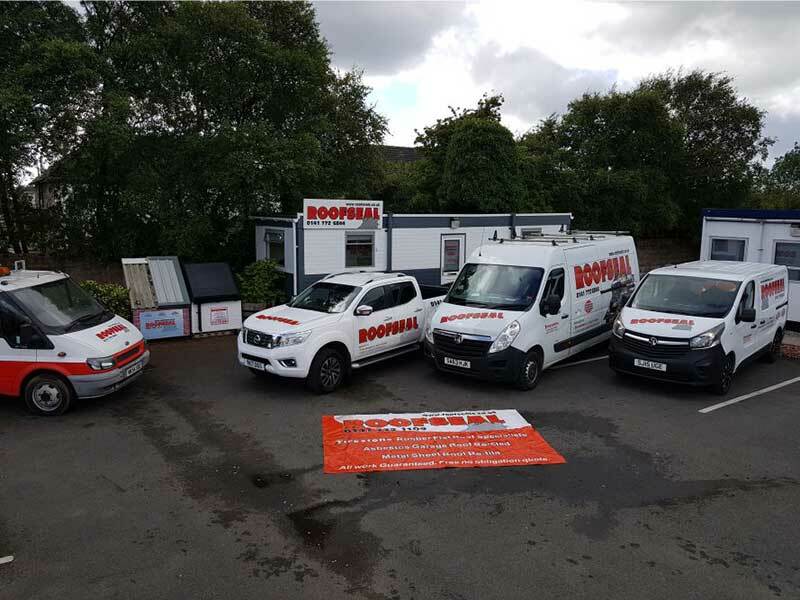 Roofseals is a family run roofing company Based in Glasgow, we specialise in solving flat roof problems of roofs on both residential and commercial projects. 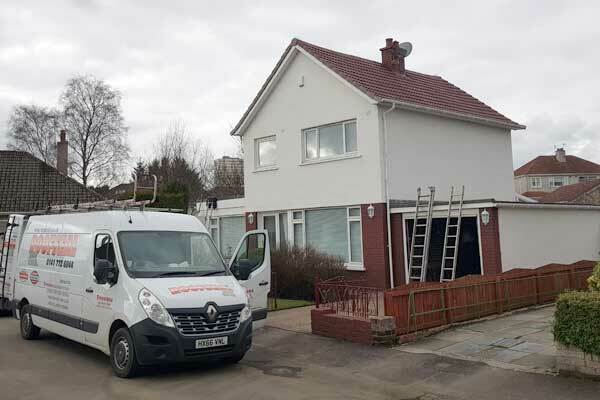 We are experts in our line of business and have carried out some of the most complex projects in our business area, only by using quality products and fully trained staff are we able to offer a guarantee that our customers are always completely satisfied. We currently operate throughout the central Scotland area but this is not a restriction. 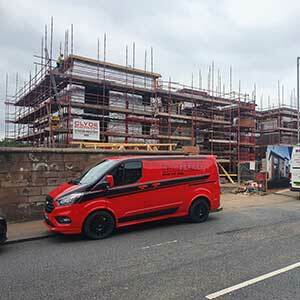 We are a growing business and will endeavour to serve any area of Scotland and further. So before you consider wasting your money on replacing your flat roof please give us a call for a free flat roof survey and quotation. Our surveyors are only interested in making sure our potential customers are fully at ease with no fancy gimmicks and no high pressure sales tactics. Roofseals use Firestone EPDM. 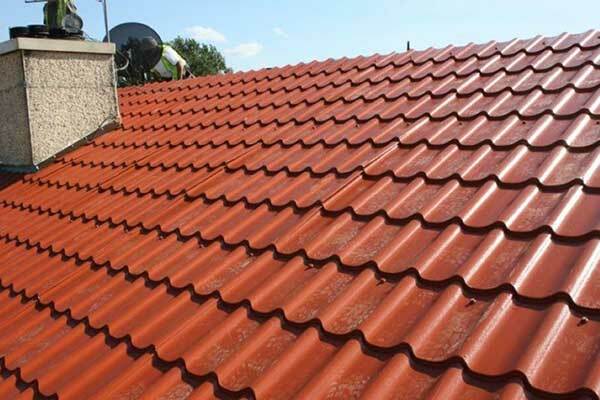 Firestone is a leading manufacturer of high performing Roofing Systems for commercial and residential roofing applications. Since 1980, Firestone Roofing Systems have been successfully installed on hundreds of thousands of roofs worldwide. Since the early 1960's, EPDM roofing membranes have gained an outstanding track record and wide industry acceptance. Firestone RubberGard EPDM Roofing Systems are the result of over a century of experience in rubber technology. Firestone EPDM was used on The Burj Al Arab Hotel...the world's only 7 star hotel. The first Firestone EPDM roof was installed in Wisconsin, USA, in 1980, and still performs well today. It is a testament to the durability of Firestone RubberGard EPDM Roofing Systems. Since then, over 1.000.000.000 square meters of Firestone RubberGard EPDM membranes have been installed on roofs from the cold climates of Alaska to the desert sun of the Arabian Gulf. Roofseals are professional installers of Firestone EPDM rubber roofing and are based in Glasgow, Scotland, UK.